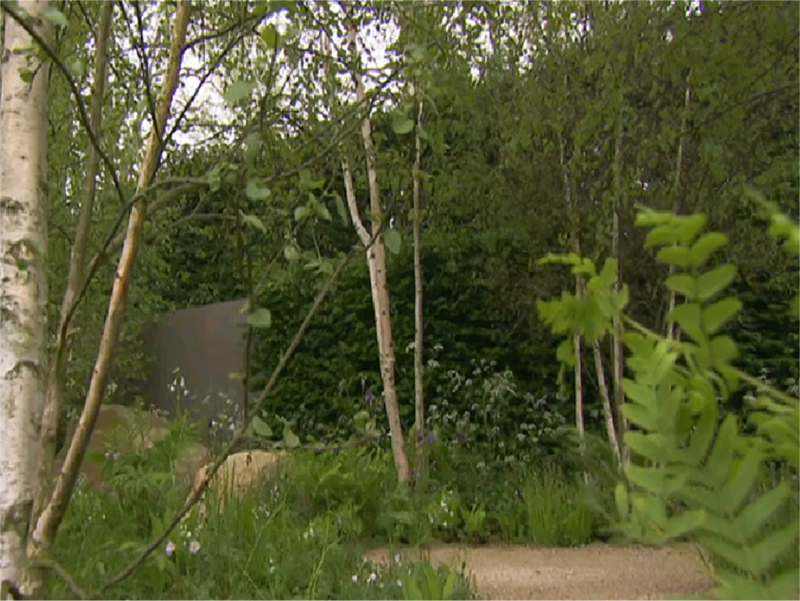 Green planting dominates this year’s Chelsea Flower Show gardens. The superb soft planting in Adam Frost’s garden is no exception. Designed to create the feel of a countryside walk the garden is packed with wonderful greenery that is subtly bejewelled with deep purples and soft yellows of the Aquilegias. Equally, Cleve West’s predictably sublime design and Sarah Price’s Telegraph garden also follow the trend for green being the dominant colour. Sarah also has used delightful planting of yellows and pinks to add extra charm. However, a second colour has been popular this year, one that wasn’t so expected. 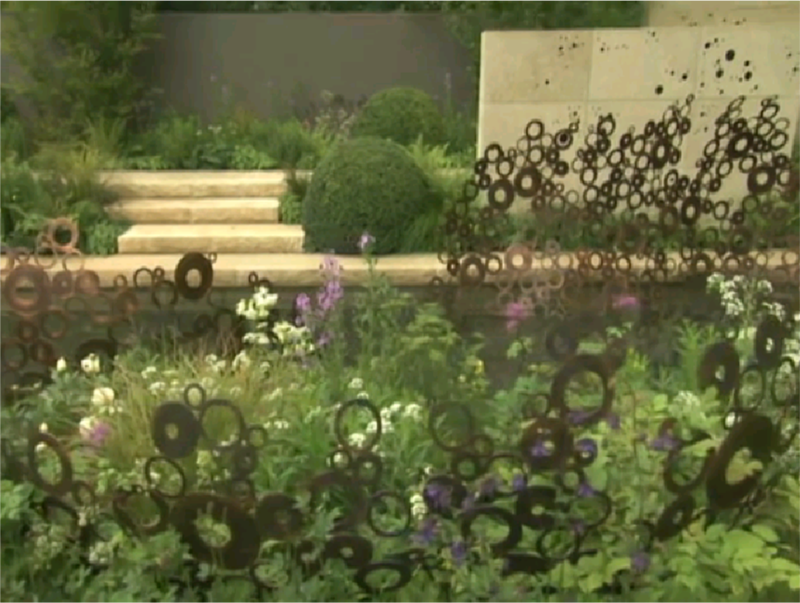 Several of the large gardens have introduced copper brown as an accent colour – Andy Sturgeon’s water sculpture (shown below); Sarah Price’s water fall; Cleve West’s grand park gates; Joe Swift’s wooden structures and Arne Maynard’s clever use of Copper Beech in his Laurent Perrier garden all create an interesting muted contrast to the green planting. There is always room for something different in the garden and these guys never fail to come up with innovation every year.